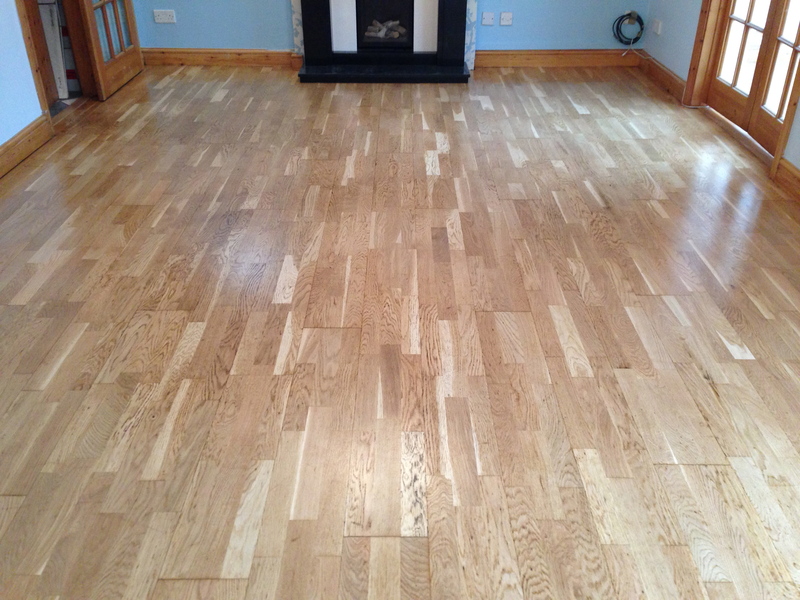 "Please thank your men for their politeness and courtesy, it was a pleasure to have them working in our home and the floor looks pretty good too!" Re affixing any loose areas of engineered floors. Complete installation of laminate floors. *Because Laminate flooring is composed of a thin layer of real wood adhered to a hardwood backing it is very important to use the correct sanding equipment. 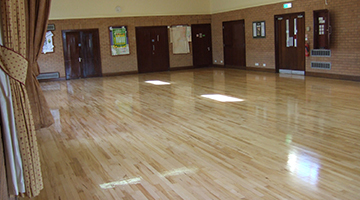 We only use our purposely designed equipment for the sanding and preparation stage whereby a very exacting amount of the laminate wood surface is removed by the process thereby retaining the integrity of the wood and avoiding the risk of sanding through the thin layer of laminate and exposing the hardboard backing. WARNING! In all cases AVOID THE USE OF DRUM SANDERS for this floor type! 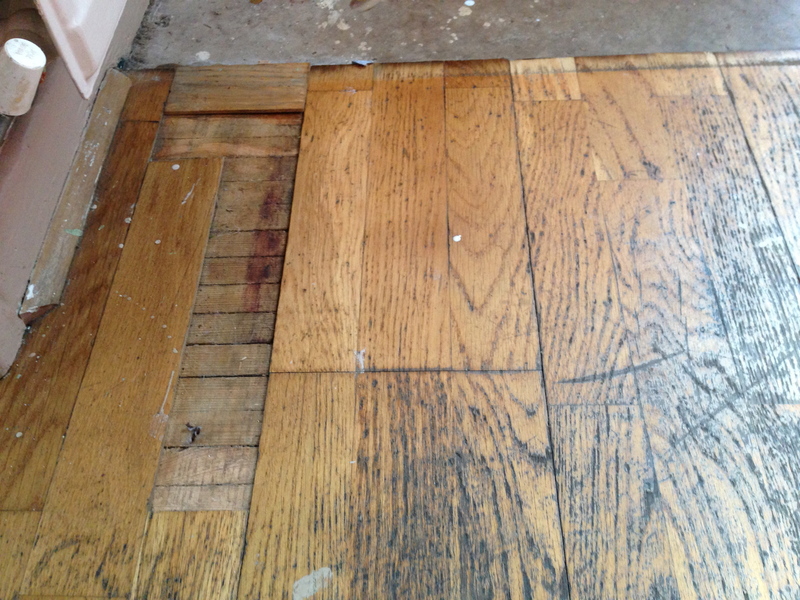 The laminate wood floor was badly worn and had missing laminate strips. 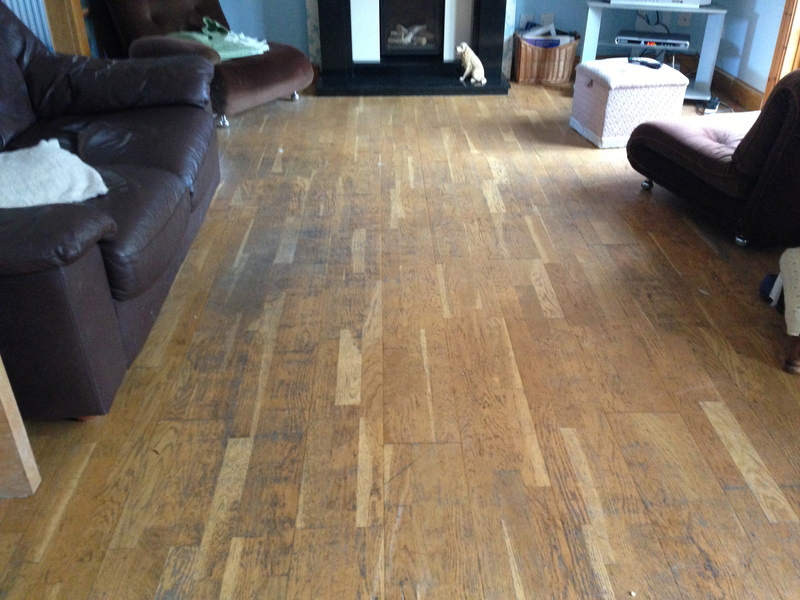 The floor was also scratched and required a full restoration. The laminated wood floor is now been completely restored with matching wood strips machined and cut to size and then affixed to the under board; the repairs were almost invisible and after sanding with our specialist sanding machines and lacquering the floor it looked like new again! 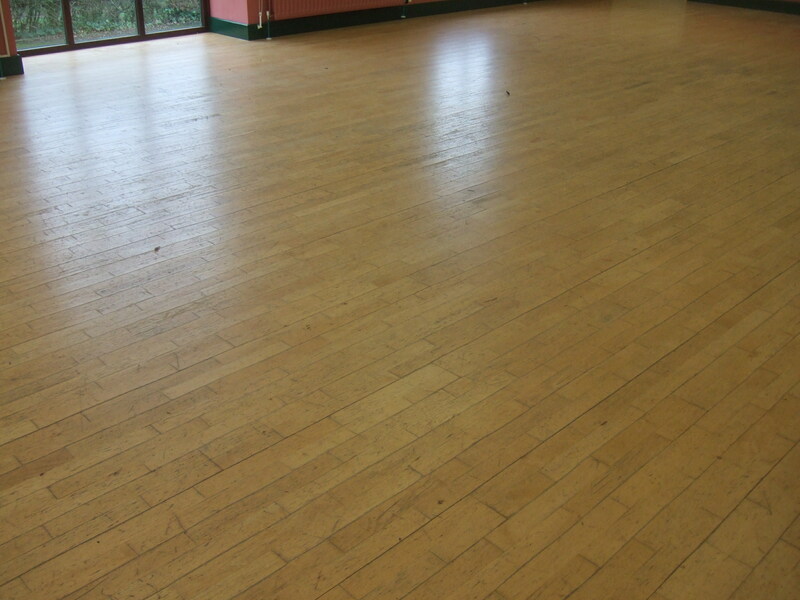 This is a beech laminate floor in a Community Hall; there were a number of lifting sections of the laminate as well as missing and damaged blocks. 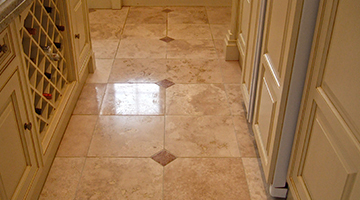 Water damage or general wear and tear to laminate floor. We will remove of all damaged sections of surface laminate wood then match and produce the wood, cut to size and affix the new laminate wood to the floor. Previously badly prepared and sanded. 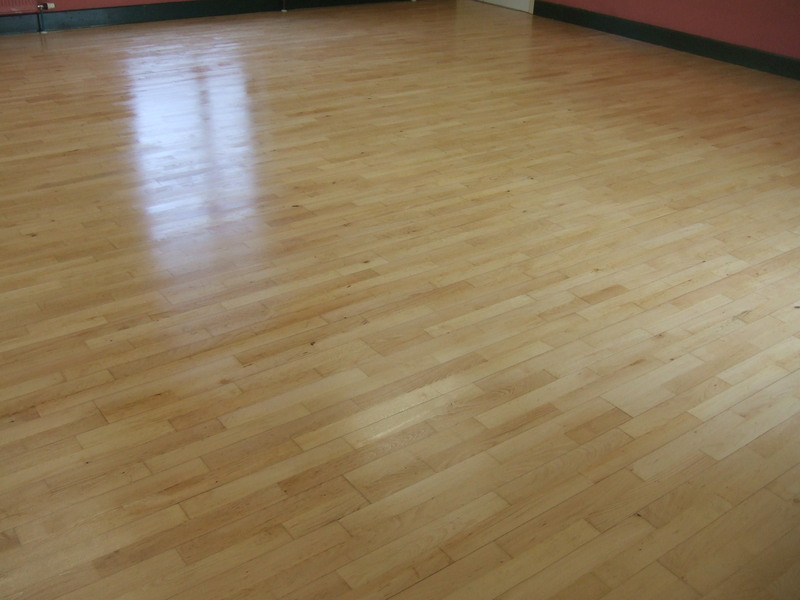 We will sand the floor using specialist sanding machinery to ensure the accurate removal of the surface wood and whilst maintaining the integrity of the wood surface. 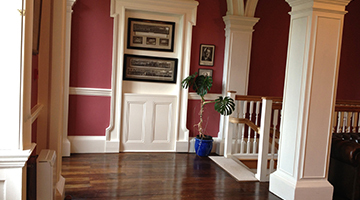 We will then apply 3 coats of good quality lacquer to protect and enhance the wood. 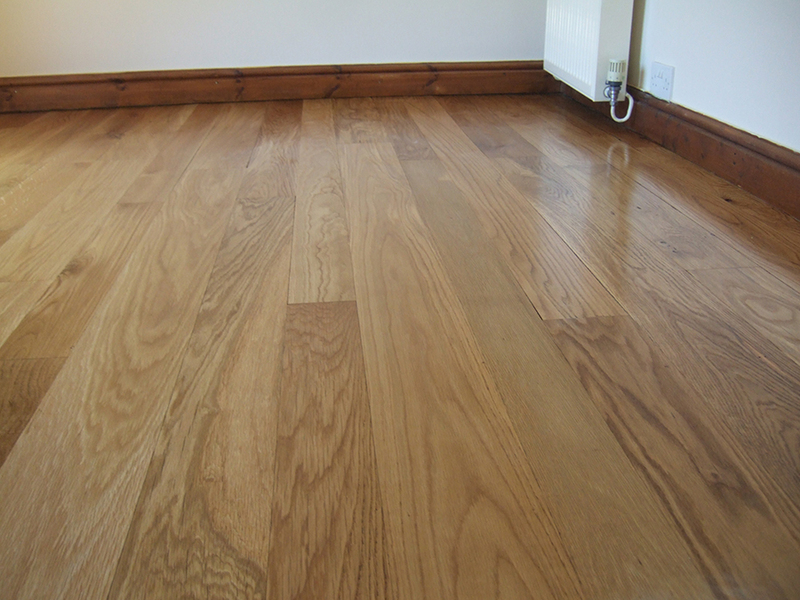 Wood laminate is difficult to clean and absorb water; flaking seals and polishes. We will treat the engineered floor as above. Water damage, general wear and tear. We will re affix all loose areas using suitable adhesives.